Often when we walk into a bar, it takes a little while to get settled, to look over the cocktail menu, and possibly even order a cocktail before we get a real sense of what a bar is trying to do. As we wound our way through the lobby of the Freehand Miami hostel in South Beach, Miami, to the little hole in the wall that is The Broken Shaker, it was instantly clear what is so amazing about it and why it’s one of the best bars in America. The Broken Shaker started life as a pop up bar at the Indian Creek Hotel, the site which later became Freehand Miami, a funky hostel not far from the heart of South Beach. Located in a room that’s smaller than many public restrooms, the bar has just four bar stools, which get quickly stowed away when the bar gets busy. While the room is small, imbibers can take their drinks out to the hostel’s patio, which offers a nice starlit venue to sit and enjoy the wide range of Broken Shaker offerings. As you walk into The Broken Shaker, you’re greeted by a wall of candle lit spirits, and it’s nothing short of stunning. 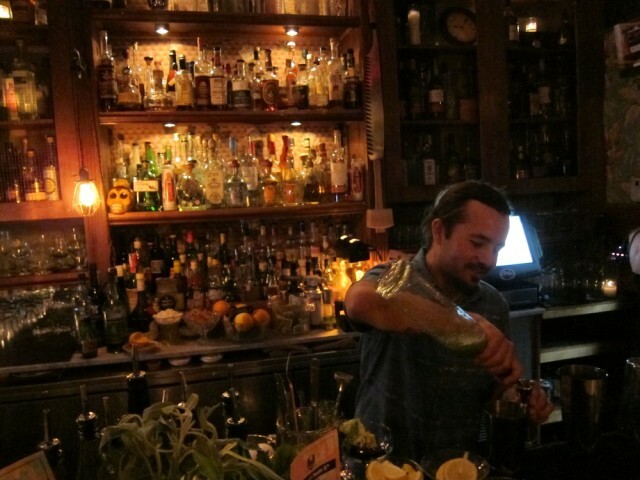 Three bartenders effortlessly manage a dance behind Broken Shaker’s teeny bar. Bartender Michael Parish jokes that The Broken Shaker has to take height and size into account when hiring bartenders. One of the centerpieces of The Broken Shaker’s bar is a punch bowl which serves a rotating selection of spirits, fruits, and botanicals. The punch bowl can also be ordered whole and serves 4-8 people..
As you sit or lean at the Broken Shaker bar it becomes clear that there are tons of hidden gems squirreled throughout the bar, whether it’s a rare bottle of mezcal, housemade mushroom bitters, or a bottle or two of spirits you just don’t see anywhere else. The Broken Shaker doesn’t make a big deal about it, but they make a tremendous amount of housemade ingredients including botanicals grown in the hostel’s courtyard. If The Broken Shaker were in Portland, Oregon, you’d see all this trumpeted on the menu and throughout the bar, but like with many things, The Broken Shaker leaves these gems for you to discover. The bar has a quiet confidence that gives the drinker credit for being observant. Of course not all customers who come through the door get the nuances of this amazing bar, and one imbiber who repeatedly tried to order a Corona off the beer list was expertly handled by C. Victoria King with a wit and tact we’ve rarely seen behind the bar. The Broken Shaker’s Cocktail list is small, with just six cocktails. 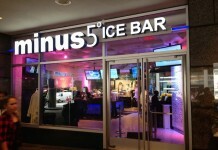 The list changes regularly and is a nice mix of classics and modern cocktails. 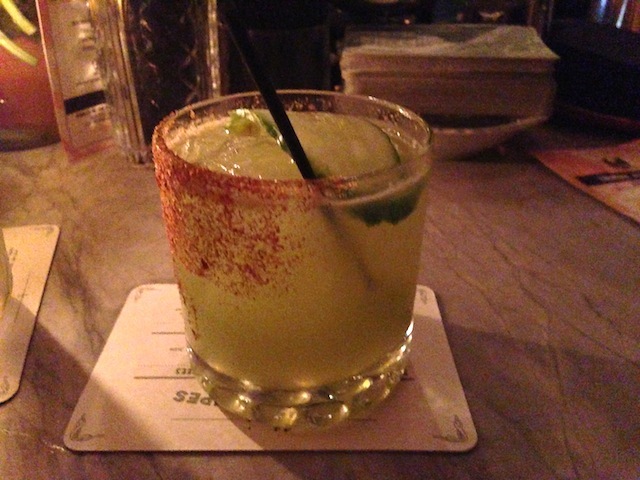 On our trip to The Broken Shaker we started with The Agave Fairy, which mixes El Jimador Tequila with pressed cucumber and celery, rimmed with a housemade spicy salt. 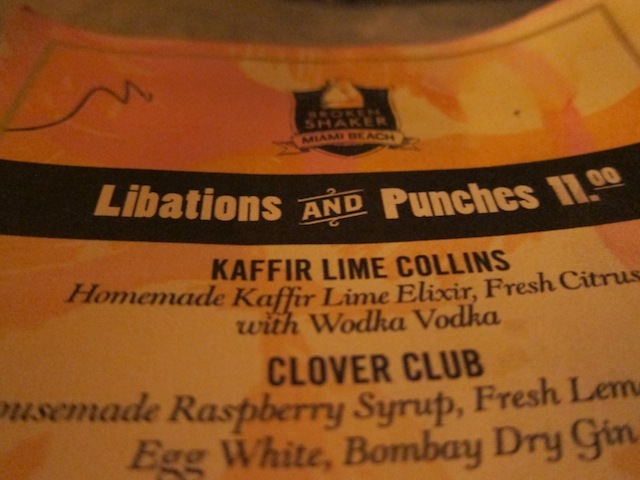 The drink was expertly crafted by co-owner Gabriel Orta and was a superb balance of fresh and easy while still being a sipper best slowly enjoyed. The Agave Fairy is a drink which demonstrates an extremely deep knowledge of tequila, and an expertly crafted combination of flavors that is simply exceptional. One of the things that The Broken Shaker is well known for is the “dealer’s choice” where a customer gives one of the bartenders a base spirit they’d like to use and then lets them create a drink on the fly. 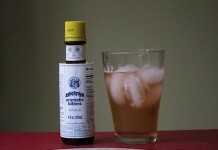 As we love all spirit categories at Drink Spirits, we left the spirit open and the result was a rum old fashioned with housemade Indian spiced bitters that was a well balanced symphony of flavors. 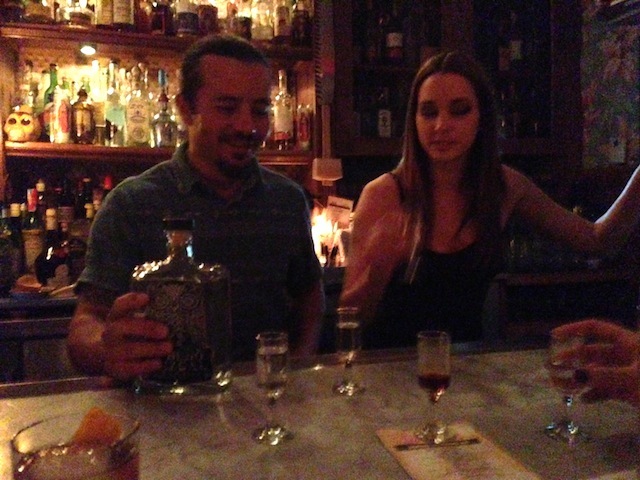 Before we had a chance to finish the rum old fashioned, the bar was quickly littered with a well-curated collection of mezcal for an impromptu tasting. It’s clear that co-owners Parish and Ortiz have an intense love of spirits, and that love really shows. What makes The Broken Shaker so good isn’t just the drinks, the staff, or the room. It’s how all the elements come together into a bar that is intimate, welcoming, and fun. The Broken Shaker is the ultimate beach shack bar (minus the beach), the kind of place you want to drink in and never leave (don’t worry, they are open until 2 ish). The combination of intimacy, craftsmanship, and vibe not only make The Broken Shaker one of our favorite bars, but it’s also a model for other bars to follow and a very convincing argument of how important small bars are to the future of cocktails and drinking. The Broken Shaker is at 2727 Indian Creek Drive, Miami Beach, FL, 33140.